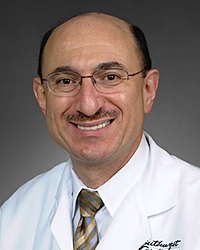 Dr. Ziwar Karbatak specializes in cardiology. He earned his medical degree from Damascus University, Faculty of Medicine in Syria. He completed a residency at Kettering Medical Center and a fellowship at Loyola University. He is Board Certified in Internal Medicine since 2004, Cardiovascular Disease since 1995, and Interventional Cardiology since 2011.